Trerice | A balanced diet . . .
Steph and I have been members of the National Trust since 2011. Following our first visit to one of the Trust’s properties in February that year (to Hanbury Hall, just 7 miles from home), we have tried each year to get out and about as often as we can. After 5 years membership, we were offered a special senior citizen joint membership: such great value for money; so many interesting houses, landscapes, and gardens to visit, and enjoy a cup of coffee (and an occasional flapjack) in one of the NT cafes. These visits give purpose to our excursions. We’ve now explored 97 National Trust properties in England and Northern Ireland (as well as as few maintained by the National Trust for Scotland). And we have enjoyed many country walks as well around parkland and through gardens. Click on the various links to open stories I have posted during the year, or an album of photos. We are fortunate that close to us (we’re just south of Birmingham in northeast Worcestershire) there are half a dozen properties that take 30 minutes or less to reach. The closest is Hanbury Hall, and we often visit there to enjoy a walk around the park – four times this year – or take one of the many paths to the canal, up to Hanbury church, and back into the park. I particularly enjoy seeing how the parterre changes through the seasons. It is a very fine example. The other houses close to home are Charlecote Park ( in July), Croome (August), Packwood House (August), Baddesley Clinton (October), and Coughton Court (April and November). 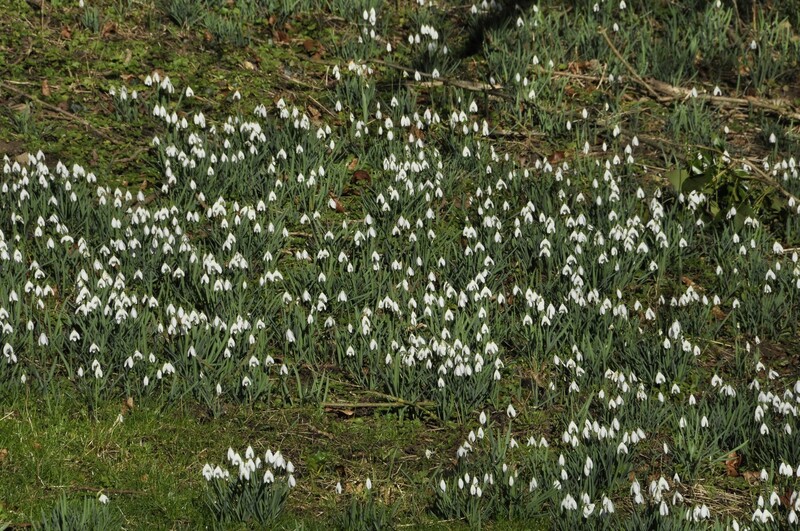 Our National Trust year began in February with a return visit to Newark Park, 58 miles south in Gloucestershire, to see the carpets of snowdrops, for which the garden is famous. 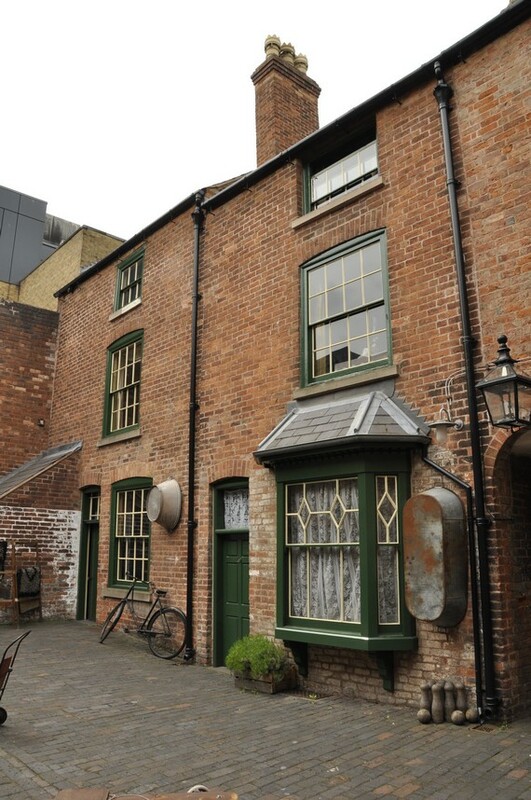 We first visited the house in August 2015. A week later we traveled 20 miles southwest from home to the birthplace of one of England’s greatest composers, Sir Edward Elgar. It was a sparkling day. We even managed a picnic! After visiting the house, The Firs, and the visitor center, we took the circular walk from the site that lasted about 1 hour. I found watching a short video about Elgar’s life to the accompaniment of Nimrod quite emotional. 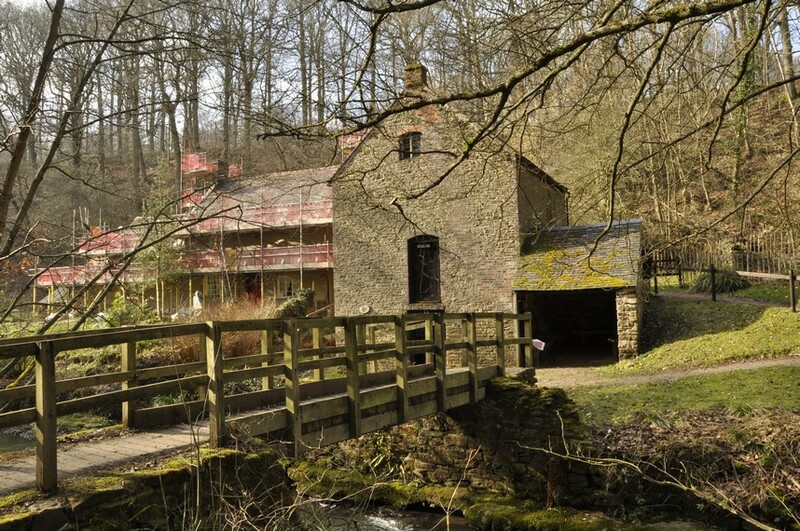 Then a week later, we decided on a walk in the Wyre Forest, about 17 miles west from Bromsgrove, to find Knowles Mill, a derelict flour mill in the heart of the forest. April saw us take in three properties (besides Coughton Court): Dudmaston (which we first visited in 2013); Kinwarton Dovecote; and Southwell Workhouse (a fascinating visit). In May, I had to obtain an international driving permit, and the closest post office was in the center of Birmingham. That was just the excuse we needed to book a tour of the Back-to-Backs on the corner of Inge and Hurst Streets. What an eye-opener, and one NT property that should be on everyone’s bucket list. Closer to home, in fact less than 4 miles from home, is Rosedene, a Chartist cottage that was one of a number erected in the area of Dodford in the 19th century. It’s open infrequently, so looking to the weather forecast we booked to view the property on Sunday morning. Unfortunately, the NT guides were unable to unlock the front door, so we never got to see inside, just peer through the windows. We had returned to Upton House in Warwickshire at the beginning of the month to enjoy the walk along the escarpment overlooking the site of the 1642 Battle of Edgehill, and then around the garden. We had first visited in July 2012. We were away in the USA during June and July, and just made some local visits in August. We were preparing for a week of NT and English Heritage (EH) visits in Cornwall during the second week of September. What a busy week! We stopped at Barrington Court in Somerset on the way south, and Knightshayes in Devon on the way home a week later. You can read about those visits here. 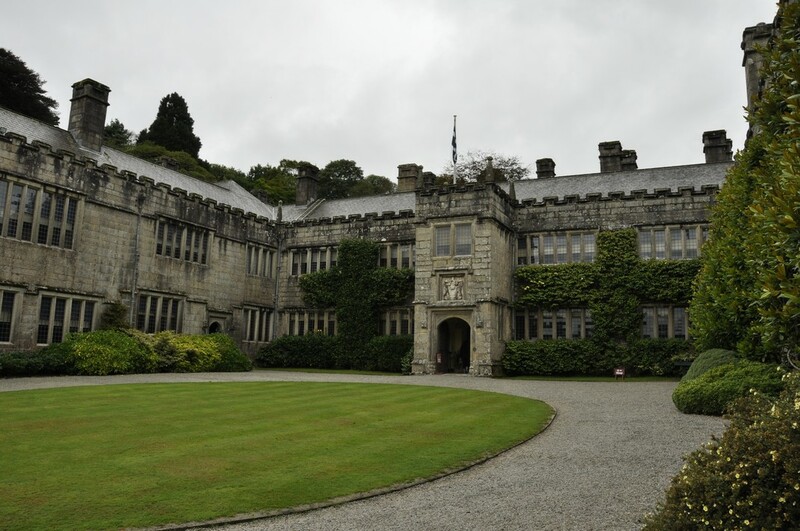 We visited four more houses in Cornwall: Lanhydrock, Cotehele, St Michael’s Mount, and Trerice, and I wrote about those visits here. Then there were the coastal visits, to The Lizard, Cape Cornwall, and Levant Mine (check out the stories here). 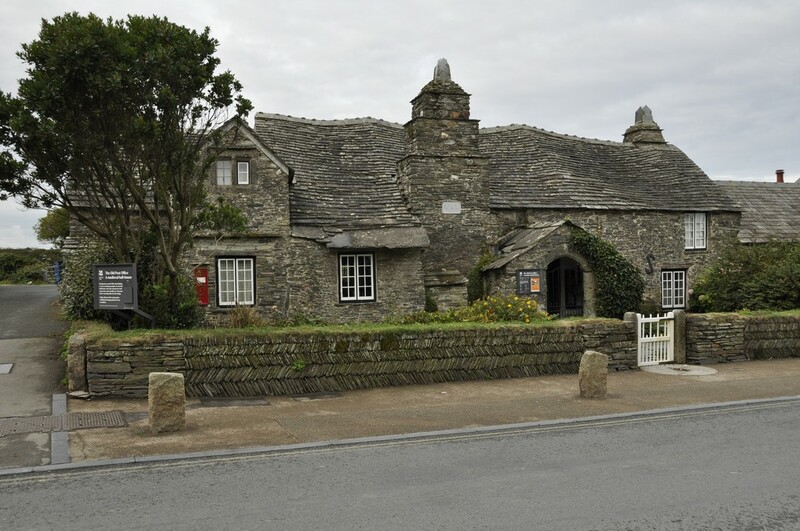 While on the north coast (visiting Tintagel Castle – see below), we stopped by Tintagel Old Post Office. Cornwall has some fine gardens, and we visited these: Glendurgan, Godolphin, Trelissick, and Trengwainton; read about them here. October was a quiet month. I can’t remember if we took a walk at Hanbury, but we did enjoy a long one along the Heart of England Way at Baddesley Clinton. November saw us in the northeast, with a return visit to Seaton Delaval Hall (that we first visited in August 2013), and also to Penshaw Monument that is such an imposing sight over the Durham-Tyneside landscape. In mid-November it was 70th birthday, and Steph and I spent a long weekend in Liverpool. 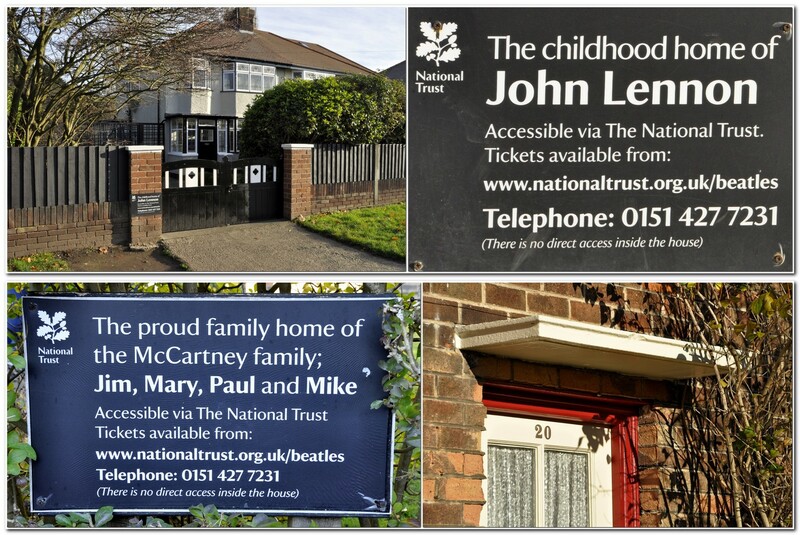 One of the highlights was a visit to the Beatles Childhood Homes of John Lennon and Paul McCartney – rather emotional. 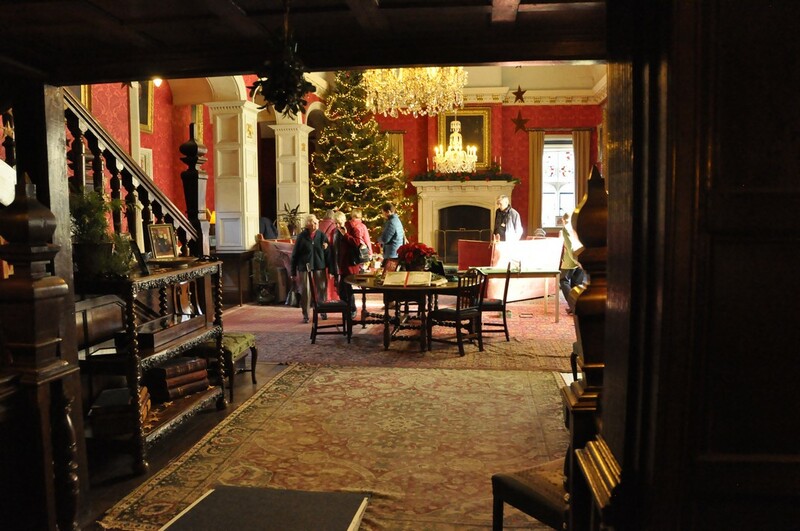 We completed our National Trust year by enjoying Christmas at Coughton Court on 30 November. 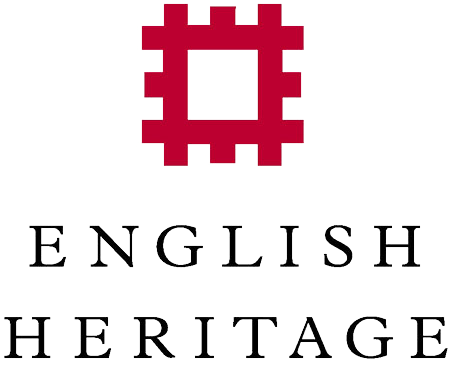 We have been members of English Heritage (EH) since 2015. Our daughters gifted us membership at Christmas 2014. Witley Court in Worcestershire is the nearest property to home, and we have been visiting there since the 1980s when we first moved to Bromsgrove. But not during 2108. Here’s a story from September 2017. In April we were in the northeast and enjoyed a visit to Warkworth Castle near Alnwick on the Northumberland coast (map) with grandsons Elvis and Felix. Since it was close to St George’s Day, there was a tournament entertainment for the children. 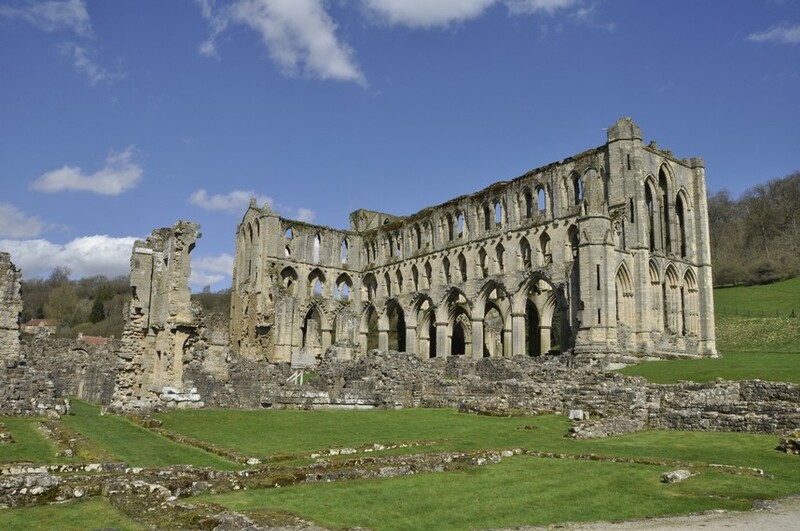 While in the northeast, we visited Rievaulx Abbey, somewhere I had first visited as a student in the summer of 1968, and then again in the mid-1980s on holiday with the family on the Yorkshire coast. Towards the South Transept and the east end of the church from the southeast. 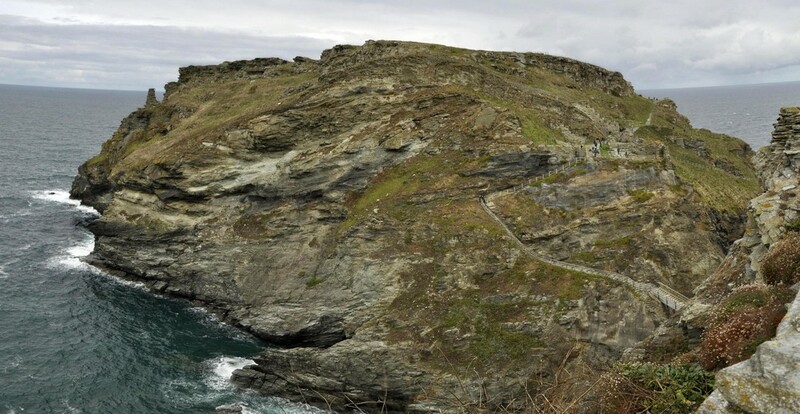 During our trip to Cornwall in September, we got to visit Chysauster Ancient Village, Pendennis Castle, Restormel Castle, and Tintagel Castle, which I have written about here. The steps leading up to the castle gate. 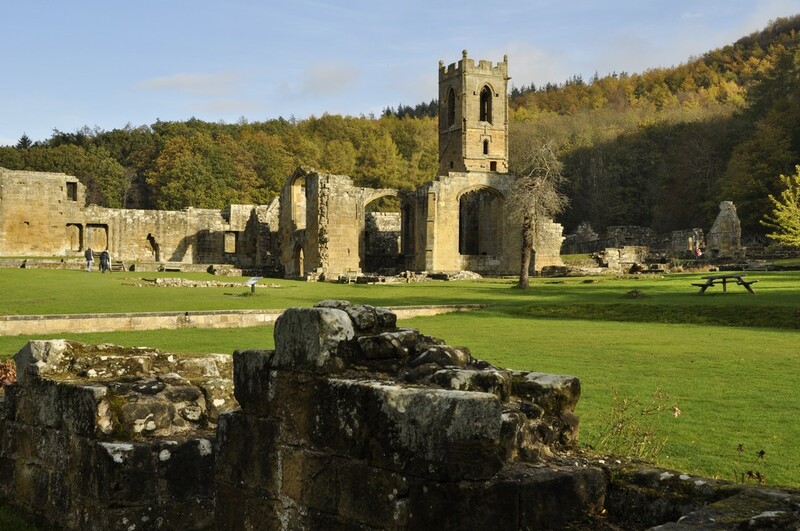 Then in November, on the way home from Newcastle, we stopped off at Mount Grace Priory, that is owned by the National Trust but managed by English Heritage. It was a bright and calm November morning, lots of color in the trees, and we were enchanted by the peace of this wonderful site. On our trips to Newcastle we have passed the entrance to the Priory many times, but never had found the time (or the weather) to stop off. It was well worth the wait. This has been our heritage 2018. We have barely scratched the surface of NT and EH properties. We look forward to spreading our wings further afield in 2019. Knowing how popular St Michael’s Mount can be (even slightly out of season, as we were), Steph and I decided to head to Marazion early on the day of our visit, so we could easily find a parking place. I guess we must have been there before 9:30 am, and knew we’d have to take the boat over to the island as the tide was still ebbing then and the causeway was still covered. Parking was no problem. However, when we returned from our visit to the island just before 2 pm, visitors were streaming across the open causeway in the hundreds, and it seemed as if every parking place was already taken in the several car parks along the sea front. Just before 10 the first passenger boat of the day pulled up alongside the jetty, and about eight persons clambered aboard. Since the sea was calm, there being no waiting queue of visitors, and it being the first boat, the boatman suggested going right round the island instead of just across directly to the harbor on the island. What a treat, as we had many different views of the island and buildings that would not have seen on a normal crossing. St Michael’s Mount (the Cornish equivalent of Mont Saint-Michel in Normandy, although not quite so grand perhaps) was originally home to a 12th century priory, and there is evidence of human occupation over several thousand years. It has a rich history. It became the home of the St Aubyn family in the late 17th century, and the family continues to occupy the Victorian wing. in the 19th century there was a village and thriving community of several hundred residents living below the castle. A visit to St Michael’s Mount includes not only a tour of the house, and its magnificent views over Mount’s Bay, but the gardens below the castle that have been built into and cling to the cliff face. We were told by our boatman that the four resident gardeners are also qualified abseilers! It’s quite a steep climb up to the castle, but well worth the effort. By the time the causeway had opened and hundreds of visitors were pouring across, access to the house was becoming difficult. We had made the tour earlier, and even then passing the narrow entrance caused significant tailbacks. 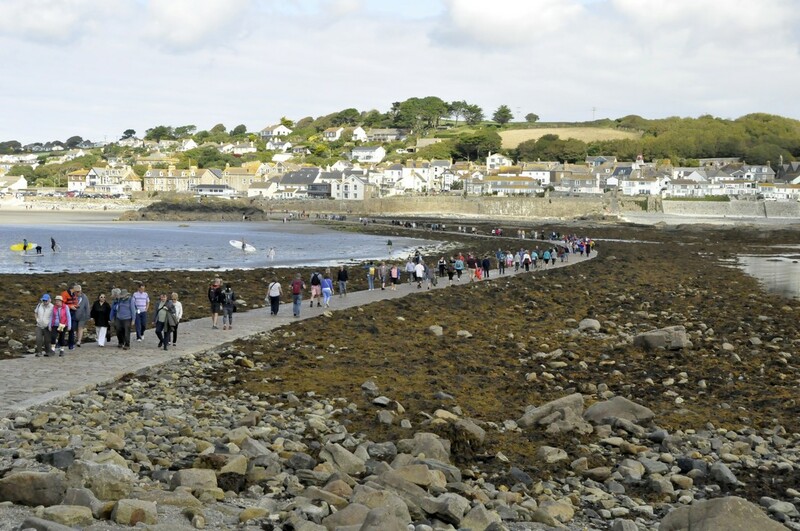 Nevertheless, no visit to Cornwall would be complete without a visit to St Michael’s Mount. Its inaccessibility for half of the day just adds to its attraction. Check out more photos of the interiors and gardens here. Lanhydrock, just a mile or so off the A30 near Bodmin) is special for two reasons: so many of the rooms (>50) are open to the public, and the Long Gallery in the north wing) and its magnificent 17th century plastered ceiling survived the 1881 fire that gutted most of the rest of house. The house is U-shaped; an east wing was demolished in the 18th century. It has been the family home of the Robartes for four centuries. The weather for our visit was overcast with a little drizzle. As we wanted to visit Restormel Castle in nearby Lostwithiel later in the day, we decided to forego a walk around the park, just viewing the gardens and parterre close to the house. You can take a virtual tour of the house and gardens here. There’s no doubt that Lanhydrock is one of the National Trust’s ‘premier’ properties full of exquisite objects that passed to the Trust when it acquired ownership in 1953. Definitely one of the properties that should be on everyone’s National Trust bucket list. The first question I asked one of the volunteers when we arrived at Cotehele House was how to pronounce ‘Cotehele’. It’s ‘cot-eel’ apparently. And it’s also one of the National Trust gems, having so many exquisite tapestries on display. The house dates from the late 15th century but then had 16th century Tudor additions, and is built I guess from local granite, a lovely soft grey color. 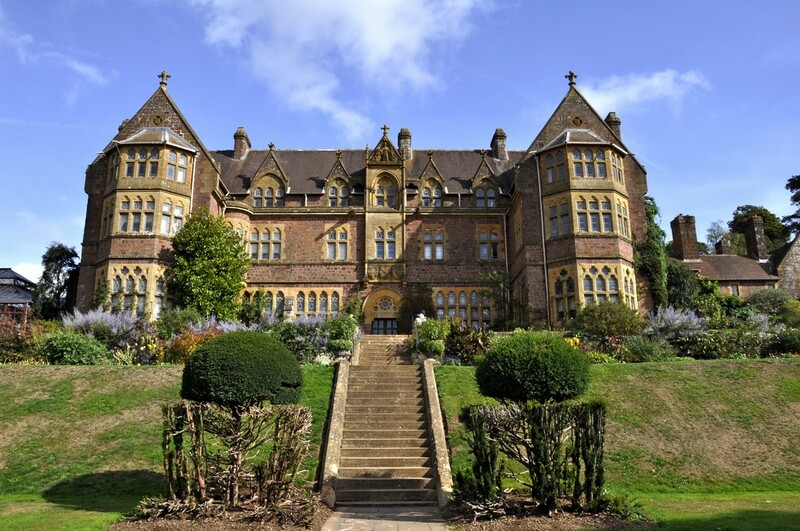 It was the home of the Edgcumbe family. Passing through a small courtyard, you enter the Great Hall, on to the chapel, and up to the treasures of the first floor and above. Cotehele has terraced gardens beside the house, and others slightly further away. The Valley Garden follows a steep-sided valley from the terraces to the River Tamar, and Cotehele Quay and Mill. Have a look at more Cotehele treasures here. Trerice is an Elizabethan, 16th century manor situated a few miles inland from Newquay on Cornwall’s north coast. We visited this delightful house on our last day in Cornwall, on the way back to our holiday home after a visit to Tintagel Castle. 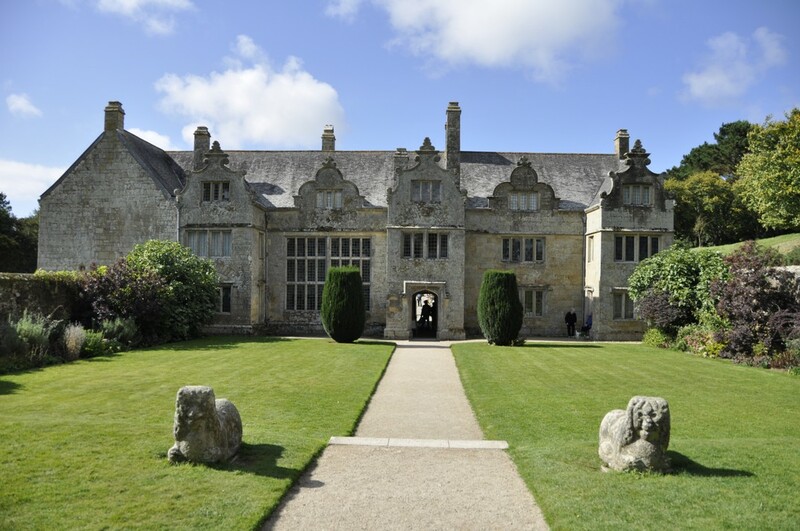 The Arundell family inherited Trerice more than 700 years ago. It passed to the Aclands in the late 17th century. 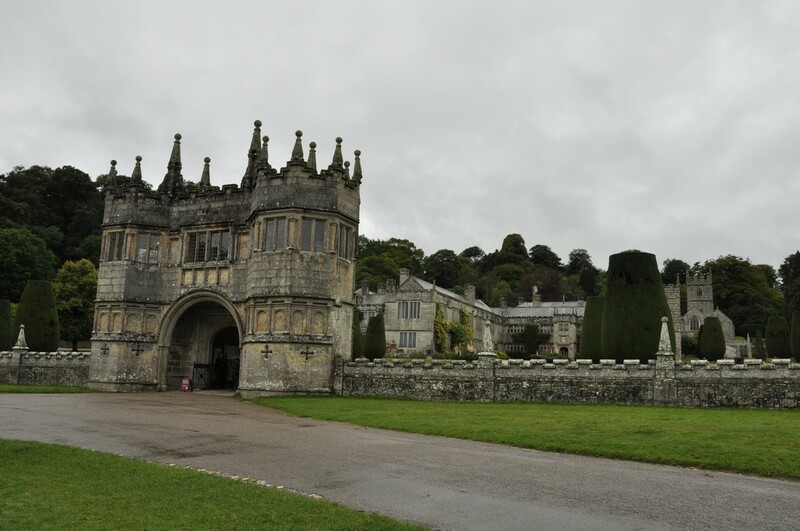 In the 20th century, the Elton family took on a lease from the National Trust and carried out some major refurbishments, including replacing the roof. There is some particularly smart plasterwork in several rooms, as well as impressive oil paintings. Outside there is an attractive knot garden, and other horticultural attractions like a 1km mowhay. An archaeological dig was underway behind the house on the day of our visit. More photographs of this dig and exterior/interior views of the house are available in this album. For those interested in photography, I use a Nikon D5000 DSLR, with a Nikon AF-S DX Nikkor 18-200 mm f/3.5-5.6 GII ED VR lens. Flash photography is not permitted inside National Trust properties, so that means shooting with the slowest speed I can get away with, since all my photos are hand held. Often I’m shooting as slow as 1/15, and 3200 ASA. All the interiors at these four properties were photographed in this way. It’s remarkable how the colors of the tapestries at Cotehele, for example, are revealed. I’m getting quite the dab hand at holding my breath as I’m about to press the shutter.